The Concord Series is made of quality abrasion resistant neoprene material on the outside coupled with rip resistant scrim nylon on the inside. The 800CN is a knee length coat that features a stand up corduroy tipped collar, snap front, 2 patch pockets, plain back and take up snaps at the wrists. Hood sold separately (800H). 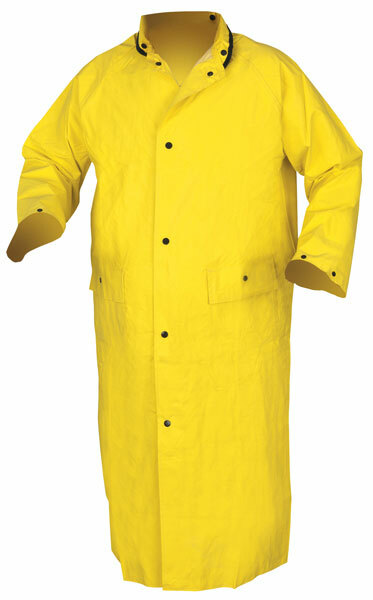 This coat also features double stitched and taped seams for durability. Limited Flammability. NOT intended for use as protection against ARC Flash or Flash Fire. For more information on Limited Flammability, Click Here.